Home » Tutorials For Beginner » Magento Tutorial for Beginners (Part 1) – What is Magento? Why use MAGENTO? Magento was designed for those who need a flexible and full-rich ecommerce platform. This 100% open-source eCommerce solution is open for free download and allows users to design, set up, and run their own eCommerce stores as they want. However, using the program requires some basic knowledge of how it works and to run it properly need a designer/developer. Therefore, we decide to write the series of Magento Tutorial for Beginners that will give you basic insights about Magento as well as beginner tutorials regarding Magento themes, Magento templates, Magento modules, extensions and more. 1. What is Magento? is it open-source software and free to download? Magento officially started development in early 2007. On August 31, 2007, a public beta version was released first. May 30, 2010, Magento version for mobile phones has been released, this version is interpreted as a separate software can be installed directly on the mobile device. Buyers can use this software to buy online instead of on the website using the browser. In February 2011, eBay claims 49% ownership stake in the company. June 6, 2011 eBay owns 100% of the capital investment for Magento. eBay announced that Magento will join eBay’s X.Commerce new initiatives. Magento provides all the features and tools to build, install an e-commerce website quickly. Customer Service - enhanced features for customers’ accounts, Contact Us form, comprehensive order tracking and history, customizable order e-mails. Payment - different payment methods: credit cards, PayPal, Authorize.net, Google Checkout, checks, money orders, support of external payment modules like Cybersource, ePay, eWAY and many more. - Magento is the code by using the PHP language and MySQL database. - Database EAV based model (Entity – attribute – value). - Magento is built modular (all functions are modularized). Today, Magento is a popular ecommerce shopping cart on the market. Since its inception a lot has been talked and written about it. And the questions that are discussed over and over again are – Is Magento the right platform for me? What are the advantages and disadvantages of Magento compared to other ecommerce platforms? Magento came out to be as one of the most robust, flexible and scalable open source ecommerce platforms on the market. Magento offers an extensive array of powerful tools for building and managing your online store. Like any other shopping cart it has its own advantages and disadvantages. Magento Tutorial for Beginners will give you ideas which Magento users comment most. It is open source, so it’s easy to be popular and everyone can use it. Magento is built to scale from 1 to a million, avoiding common pitfalls for developers. Code re-use, maintainability, debugging, support, etc. are all huge, expensive problems that eCommerce solutions providers must tackle. Magento makes them all a breeze. Magento is powerful and effective. Magento handles concepts properly and in an organized manner. Stock Magento comes with Simple, Configurable, Grouped, Bundled, Virtual and Digital Products. You can use it to sell amusement park tickets and digital music at the same time, without any extensions. Magento can have many extensions which support for the development of the online store. It is a complex system and not one that is easy to work with. If it does not use object-oriented programming or other best practices because it has a heavy layered and complicated code that takes a lot of time to learn and make changes accordingly. 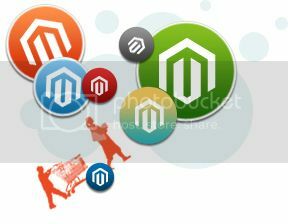 Therefore, to get a job done properly and efficiently, you need to have a proper budget in order to work with Magento. Magento is intensive resource and requires much space and memory. Installation is not as intuitive as it should be in admin area. You should use the option of safe mode during installation. This is a nice introduction to Magento. I would also recommend to read Magenticians and Inchoo blogs for some great Magento tutorials. Good thank you for the tutorial, but i wanted to get it to the PDF form. Is that possible? from where i can do magento certification ?? I would like You to suggest location near pune ! Its ok if its Training Or Exam centre. Thanks. Hi everyone, Opencart, Magento and Prestashop, which one is the strongest ecommerce platform? Hi Rose, that’s true, due to its powerful ecommerce features, Magento is slower than some other popular ecommerce platforms. However, if you put your effort to optimize your Magento site, you will see the amazing outcome. Alaoazaam-infkrmation found, problem solved, thanks! GREAT work guys ! Keep it up ! please keep the good and creative ideas coming guys.